The main component of the Amiga 500 is the CPU. 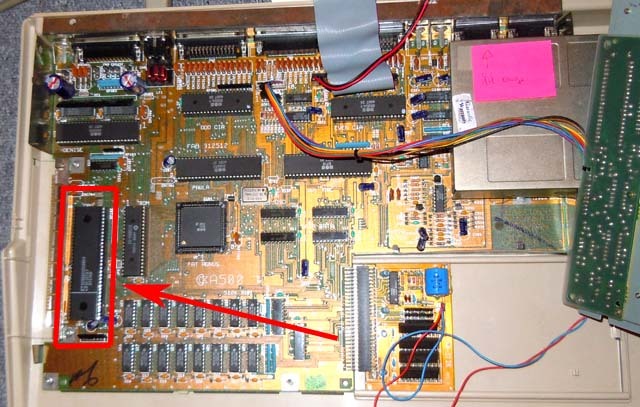 It is a motorola processor 68000. SP (Stack pointer) is equivalent to A7. There are 56 instructions. One instruction size can go from 16 bits to longer size. Instruction « RTS » (Return from subroutine) is 0x4E75. Instruction « NOP » (No operation) is 0x4E71. Full list of instructions HERE. The format for writing instruction is SOURCE,DEST. For example « Move #4,d0 » will copy value 4 (source) to register D0 (destination). Some processor (like intel) used the inverse notation (Instruction Dest, source). The CPU have 7 levels of « interuptions », we’ll see that later.